Strong rental yield in an architecturally designed estate with close proximity to the university. Dual Key property and land available from $603,283. The property images are illustrations and artist impressions only. Facades, textures & colours may vary. The house statistics relate to statistical information obtained from Residex Pty Limited and ABS Census 2019 statistics for Narangba (QLD) SSC. See positive income calculation and assumptions here. Perfectly positioned to the new University of Sunshine Coast (Petrie) campus, North Lakes retail hub and future Narangba district centre and the Narangba railway station and bus interchange. Good suburb demographics, predominantly owner-occupiers reflecting appeal of Narangba to reside in. 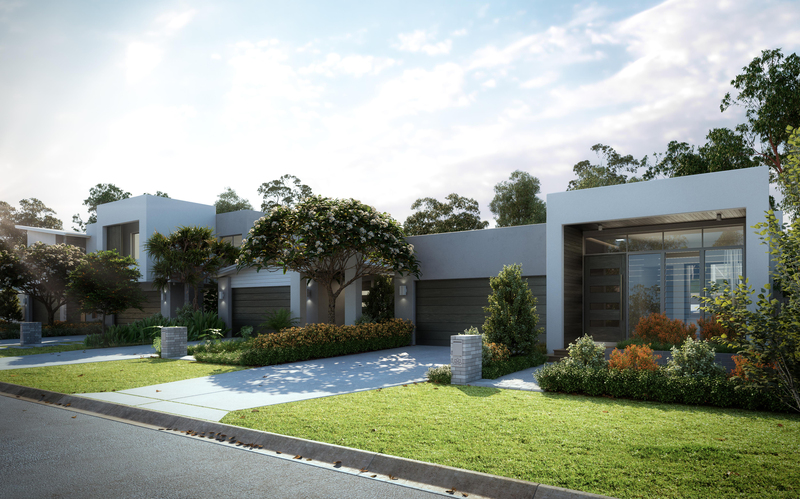 A unique opportunity with architecturally designed homes, premium finishes, landscaped gardens, idyllic streetscapes. A community designed for families – with lush green parklands and quality homes. Located within the Moreton Bay area where the population has grown at a rapid average of 7.5% p.a. The new Petrie university campus to provide education to 10,000 students within the first 10 years. At the new North Lakes Business Park there is potential for 13,000 jobs. A future district centre will be constructed around the railway station and bus interchange. Annual rent combined: $400 p/wk (rent 1) + $280 p/wk (rent 2) = $680 x 52 weeks. Interest only loan at 5.0% x $493,274. An initial purchase cost of $9,986 is needed to cover stamp duty, legal and loan fees and construction holding costs (approximate after tax). Mortgage insurance does not apply to this scenario. Property costs factor in a 2.5% vacancy rate; depreciation available only for new properties. Tax refund based on second highest tax bracket (37%) plus Medicare levy of 2%. Calculation based on the first year.